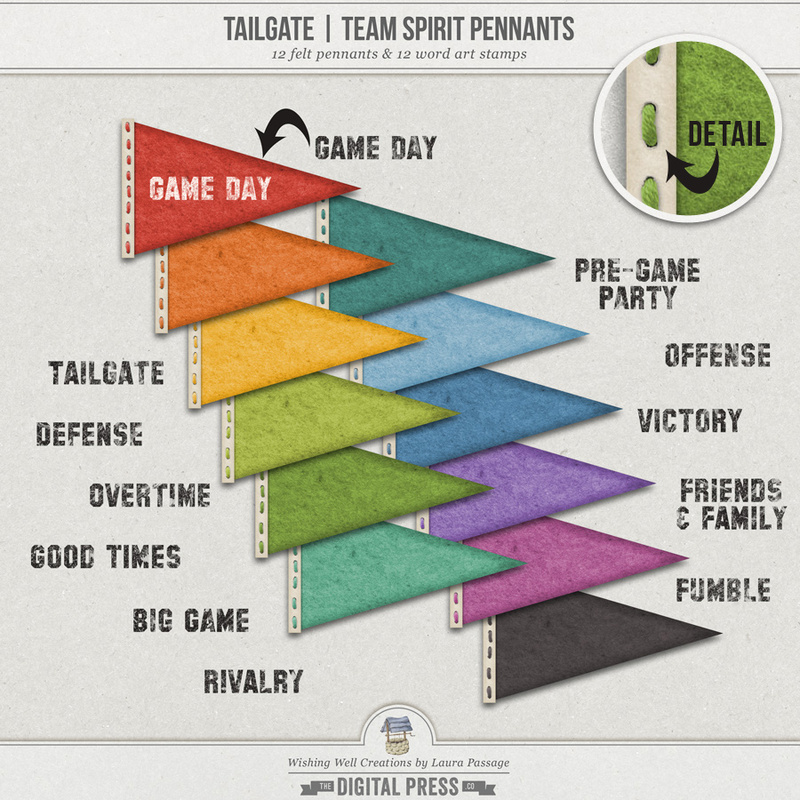 Originally created nearly 5 years ago as part of a now-retired product line named "Tailgate," these felt pennants come in 12 different colors and are perfect for team photos, sports pictures, superbowl party projects (even hybrid decorations!)... you name it. Because I still get requests for these pennants every so often, I am bringing them out of the retirement vault this fall -- in conjunction with a newly-designed collection called Another Tailgate that was inspired by the original. Included in this set you will find 12 stitched felt pennants, with 12 different word art stamps (provided in the black shown on the preview, but very easy to recolor). *NOTE* Make sure you check your stash before purchasing, as this set was originally released in 2010-11, and retired in late 2013. Pennants and word art stamps are all provided in .PNG format; all files created at 300dpi. No drop shadows. PU/S4H/S4O OK. Please read Wishing Well Creations by Laura Passage's TOU before downloading/using. Thank you!